First of all, we want to thank each and every one of you for your kind support. We appreciate you so much! We couldn’t have kept the doors open for fourteen years without your loyalty. That’s right...fourteen years! It’s true, time flies when you’re having fun! Speaking of fun, wait until you see what we have in store! 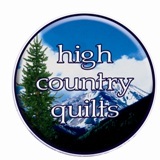 With the new year comes some great new classes as well as some exciting events at HCQ! Whether you love the coziness of wool, or the exact edges of ‘Rulerwork’, there is a class that is sure to inspire you! We have some wonderful guests that will be joining us throughout the year, as well as a new and exciting Stonehenge ‘Block Party’! Speaking of ‘party’, we have another Quilt Cruise coming up in March of 2020! Don’t miss the boat, or the cruise information night on Wednesday, January 30. Help us celebrate BERNINA’s 125th Anniversary with some very special sales on the first Friday and Saturday of each month. Beginning in January we will be offering a different item at 25% off. Be sure to check our website monthly for these ‘golden’ opportunities! And, don’t forget to check out our ‘Dates to Remember’; we don’t want you to miss a thing! But for now, sit back, relax, and know that we wish you the very best that this new year has to offer. June 21.............................Row by row starts! We have had many requests from those of you who find it hard to stop in during regular business hours. So, we decided to turn the 3rd Thursday of every month into "Pizza Night". From 6pm - 9pm you can come shop and/or sit and sew. No time for dinner? No problem! Contribute just $5 and join us for pizza and a cold drink. Use a new dryer sheet to clean the bottom of your hot iron. When threading a needle, don’t moisten the tip of your thread. Instead, run your finger down the length of your needle. Use a new bath scrubby to ‘clean’ unwanted threads from your self-healing mat. This is especially helpful after cutting up batting! Cut out large pieces from a flannel-backed vinyl tablecloth and roll it up to store quilt blocks and unroll it when you’re ready to work on it. Yes, even HCQ has BAG Ladies--Baltimore Album Group that is! The story is that this informal group first started getting together to make a Baltimore Album quilt. However, after that first ambitious project they continue to meet and focus on hand applique of any nature. Show and Tell of current projects is a favorite on their meeting agenda. All are welcome so please join us for fun! Colorado Springs' only independent authorized BERNINA Dealer and full-service sewing center. As an authorized BERNINA Dealer, HCQ offers full service on BERNINA Sewing Machines and Sergers with a local authorized BERNINA repair service. We also offer servicing of all other makes and models of sewing machines. The service picks up machines to be repaired every Tuesday afternoon. There is usually a one week turn-around for BERNINA service. Just drop off your machine during our regular shop hours. The much respected and international sewing machine company, BERNINA, says, "We are and want to remain an independent family business. We develop, produce and sell high quality products and services. We consider our core business to be in: developing, producing and selling household sewing and embroidery systems as well as sewing related products. The rapid pace of change in the economy, technology, environment and in our society as a whole presents a challenge to which we respond with innovative strength, flexibility, productivity and efficiency." We feel privileged to be a part of the BERNINA "family" business and are looking forward to providing you with the renowned sewing machines that BERNINA manufactures. Their reputation is incomparable!